This blog is written by me, Mary-Anne Boermans – one of the 12 contestants that succeeded in getting through to the filming of The Great British Bake Off 2011. Please can you let me know the recipe and technique for your gorgeous stripey swirl melts? I cannot find it anywhere online! They were so beautiful – like little roses. Really loving this series of GBBO. Your creations are so interesting. Mary-Anne you are such a dreamboat! Please bring out a book! I thought you were great on the show. The show was so inspirational to me. I have started a blog myself cookindad.blogspot.com I would love to share recipes with you and ideas….i have 2 children that I cook for and will definately be using some of your recipes. Good luck with your blog. I am know a devoted follower…. Fantastic job you did on the television. – the Mary – Anne cook book, and your own tv show. charisma which can only interest and entertain an audience. waiting too long for more. I love all of your recipes, I never thought of putting the colour swirl in pastry, I have been using it for my cupcake rose frostings for ages, but this was a different twist, and can’t wait to use your Depression Era Buttercream, it might be a new recipe for my cupcakes!!! That sounds really cool I will defiantly try that. I am 14 and love to cook and bake and I love trying new things please send me some recipes. Just stumbled across your blog – what a treasure trove! Really enjoying the Great British Bake Off and seeing your creations every week. For me, you’re the most innovative and creative baker full stop; I can only wish I could bake like that. Hi from the Netherlands Mary-Anne! Love you recipes on the Great British Bake Off. I wish there was something like taste-tv! 😀 Keeping my fingers crossed you win the final! Bye! Love your approach and attitude to the Great British bake off and baking in general. Good luck on Tuesday will be glued to the box! I’m loving watching the show, have to make sure I have food to watch it with though! I would love to see your recipie for butterscotch brulee tarts in pecan pastry, sounds extremely yummy! Sorry you did not win but boy did you shine and now I found your blog you have a new fan. Your a star. You are sooo amazing. I loved the idea of using that scraper from B&Q to make those fantastic stripes.. I hope to see more originality coming from you soon 🙂 Well done in GBB! Just like to say how much we enjoyed you in G B B O. You’re a brilliant baker. Good luck with evrything you do. Mary Anne you where my winner tonight and all series. I have loved watching all of your bakes.. I’d love to come for high tea that you had baked, sure to have me in cake heaven. You was robbed! Don’t worry, Mary-Anne, you’ll always be our favourite. Hi Mary-Anne, commiserations- loved your petit fours, definitely going to attempt to whip up some alcoholic meringues! Would love to see the recipe if you get a moment. (intensely jealous of your library btw!) R.
Was rooting for you Mary-Anne but though it was so difficult for the judges to choose pity it couldn’t have been a tie! Have really enjoyed this series and thought you would be in the final from the word go. I loved the last challenge and your fruit tartswere absolutely beautiful. Well done! Also in Amsterdam we enjoyed watching The Great British Bake Off. Exiting untill the very end. Congratulations with getting it to the final and keep on baking and blogging ! sorry, http://www.beschuitmetaardbeien.blogspot.com that is ! I was hoping you would win the GBBO. I loved the way you combined knowledge and a daring new challenge every week. Dutch fan. But you have a Dutch name too !? Really enjoyed watching you on GBBO, you are so creative and have inspired me to experiment with my own baking. Im gutted you didnt win. You rock!! I found your work very very creative. You were BRILLIANT Mary-Anne and I loved watching your creations from the very beginning. You’ve inspired me to get back in the kitchen again and rediscover some of those heirloom recipes! Planning to try some of your recipes from on here, if any of them are successful I’ll post photos and details of where the recipes came from to my blog pixiemidori.blogspot.com. You may not have won, but you’ve been an inspiration to hundreds of people like me, who like to try different things but maybe don’t manage to pull it off first time and keep laughing and trying regardless. You clearly love your food and your flavours and baking and you really have inspired me to follow in your footsteps – look out for me on the telly in a couple of years, I might just make it! Well done on your cracking baking on GBBO, sorry you didn’t win, but boy you were good & deserved to. It was a great final to watch & you all did brilliantly under the pressure. Like others above have said, I had you as winner & I’ve thoroughly enjoyed all your bakes as your ideas are so different. Good luck in whatever you do next. Huge congratulations! What a wonderful programme – I was rooting for you. Everyone on the show made it look so easy though … I took on a genoise sponge in an attempt to do a layered mousse cake over the weekend…and it was a LOT harder than it seemed! I hope you’re enjoying a bit of time out after the show, and look forward to reading more on the blog. Love the blog and will really miss watching you on the Bake Off. Fantastic achievement and some great-looking bakes. Congratulations on making the final of the bake off and sorry you did not win. I have really enjoyed watching you on the Great British Bake Off. I am not a cake/ pastry/ dessert person, and can’t cook/bake to save my life….., but I wanted to devour everything you made – everything always looked so tasty and delicious. Well done on getting so far and best of luck. We hebben weer genoten! We zijn trots op je! You did it all by yourself! Really enjoyed watching you each week with your very interesting baking. You were calm under pressure! I will try your receipes. such a great shame to see you not win your personality was sore refreshing. above all your expertise and inventiveness and, skill-fullness way outshone your competitors. I shall look forward to reading and trying your recipes. YOU DARED TO SHOW OFF SKILLS AND DO SOMETHING DIFFERENT other than follow or over practice a recipes. you reminded me of many a time in the kitchen when i was young with my gran…….. ..
Hopefully someone will ask you to write books and give you a series you have so much knowledge and passion and each week you had us hooked as to what skill or technique you would use. I know that since the final was aired tonight you’ll be inundated with messages so this may seem like a drop in the ocean amongst all the well-wishers but congrats for doing so well in the final! I was rooting for you all along- it seemed as though you had the creativity and the research to be better than Holly/Jo, you just perhaps lacked the execution at times to push yourself ahead of them skill-wise. Nonetheless you were still fantastic and your stripy cakes (the orange-chocolate one and the rose-sponge) looked utterly fantastic so well done!! I also have a keen interest in food history- I’ve just finished a masters degree in history at Cambridge, specialising in the history of chocolate in 17th century England. I also wrote my undergrad dissertation on (probably Yorkshire) manuscript recipe books in seventeenth century England. If you’d like to have a read of these I’d be more than happy to e-mail them over to you- the chocolate dissertation in particular details some really interesting flavour combinations and reminds us (as history always does) that what we think is new is actually very very old. Chocolate and chilli? We mastered that yeaaaaaaaars ago. Please do get in touch with me- I’ve handed my e-mail over to the gods of your blog so you’ll hopefully find it there. Congratulations again- you still are my favourite. Amy, those sound very interesting – are you planning to publish them in the near future? @wotchers – unflappable and inspirational are the words that I most associate with you. I look forward to the book that I hope you’re writing. I was very angry about the comment from Hollywood yesterday “revolting” well you don’t arrive at the finalist if you are revolting and in fact every single thing you and Janet made during the program was absolutely delicious, I wander is the house next door to yours for sale??? Love you and your magic hands in the kitchen…. Onwards and upwards though. I know you will do great things. You were the reason i tuned in every week. I loved how you thought outside the box and put your twist on old recipies. Now i know about your blog i will be logging in regularly. I’ve already made my list of your recipes i’m going to try. Syllabub is supposed to be alcoholic. Idiot! Very sorry you came second, but am glad to see all the supporters you’ve garnered for yourself. Well done! I was rooting for you Mary-Anne. Hollywood’s comment made us shout at the telly!! Loved your daring designs. Hoping you do a book! What are we going to do on Tuesday nights now? All our family loved watching the baking, and I seem now to be doing more than I used to. I had you down as the winner as you were inventive and interesting. I’ve now found your blog and am going to try some of the things you put on it. Thank you for 7 weeks of pleasure. Mary Ann your baking was inspiring! So inventive! You should open a bakery, my boyfriend and I would be in there every day!!! Well done you did amazingly! your flavour combinations and different techniques were inspiring. Pse bring out a book. I loved your final entry. It all looked so beautiful and made my mouth water … wish I could have bitten into some of it. I was really interested in all your recipes throughout the series GBBO and will definitely try some out. Good luck with everything. I think you are a wonderful cook. Oh, and well done. absolutely amazing Mary Ann !!! although i’m sure there’s room on the shelf for 1 more written by you ! I thought you were the star of the bake-off show and you’re certainly the main reason I watched. I’m sure you’re not too disappointed about not winning the final – although I thought you would be a ‘choux’ in! You were also very gracious and kind. Hope we haven’t seen the last of you – I’d buy your book if one comes out and watch your programme. just to thank you for your amazing food made my mouth water!! Congratulations on getting to the final, I have just watched it and I am more inspired than ever! It will be stripy sponge from now on, Its my daughters 5th birthday in november and i’d like to try something a bit different however if I skimp on chocolate she will have my head on a plate…any ideas? What a great blog, i’m on maternity leave at the moment with my third child and since watching GBBO I have started the ‘maternity leave baking project’ I will be on here daily from now on. I love the tip about using pea tins as baking rings. What about a section on improvised stuff? Wotcha! Thought you were the most original and fun contestant. A few little hiccups on the way lost you the final crown but that’s what happens when you push those boundaries. You made the programme for me this year. Good luck in future ventures. Thought you had really inventive ideas, things I never thought to try in baking and you were a worthy finalist. Please can I come and take root in your kitchen, it must be a fabulously warm and exciting place to be. Ooh that lucky little girl of your I’m so jealous! You may not have won the trophy, Mary-anne but you won our hearts. You were just brilliant. Just wanted to let you know that I am a HUGE fan !!!! The things you create are truly amazing and I shall hope to see much more of you in the future !!! I came across you blog and seen your last name : Boermans ! Surely thats a Dutch name. I wish you the best of luck.. and whatever happens.. Youll always have that special something others dont have !!! so sorry you did’nt win GBBO. From the start i could see that you were the most instinstive of the bakers and so you proved to be with each successive programme.Your flavour combinations nothing short of sensational! I hope you had some fun along with the very hard work. At the end of the programme they said that you wrote a food blog,so i immediately looked you up. WHAT A FIND!! Thanks so much and many,many congratulations. Hi! Well done with the show 🙂 just wondering what the mixture is that you freeze on baking trays for the sponge designs … I don’t have rewind on my tele and want to try a zebra and tiger print designs for a cave girl themed party! Hi Mary-Ann, You should have won. We loved your ideas! Like the others, we were very disappointed you didn’t win.Your originality and knowledge made the show even more interesting.Thank you for taking part and imparting some of your secrets to us mere mortals.We salute you and your witty asides.The silver fox judge made himself look foolish and petty.I think Mary Berry was shocked at his brutal comment.I hope you remember all the positives and don’t let that unsporting negative remain in your very creative mind. Sacha is a lucky little girl to have you as her mummy and cookery mentor. You have been a very watchable inspiration.Good luck to you for the future. Mary Ann, you are a star – your creativity and knowledge are a winning combination. I hope you do a book! Thank you for making The Great British Bake off essential viewing. I have just seen the final (had it taped as was unable to watch it on the night). Loved your humour and thought you did fantastically well! I’m so pleased you’re doing a blog, I will be an avid follower. Keep up the good work! Just found your blog. Loved what you did in the competition -some fantastic and inventive recipes. Best bit? When you wrote Sacha on the Sacher torte- Love it!!! Well done for getting to the final- have to say thought you should have won. Sorry to see you didn’t win, I definitely thought you should have won if it’s any consolation. Hello Mary-Anne, just wanted to say well-done for making it thru to the final and a huge thank you for your consistently innovative & entertaining baking and your refreshingly relaxed attitude to the competition: I thought your comment about Jo not realising how talented she actually was, was a very gracious and utterly self-less thing to say in contrast to every other contemporary TV competition which is all about winning and stuff-all to do with skill or talent. Many of your creations have inspired this little baking hovel, and we will be trying (and no doubt collapsing on the floor in stitches at how badly things have gone wrong again!) many of them out very soon, which will be a challenge as we are both gluten-free but have found ways to adapt a lot of recipes quite well, though we love a challenge where messing with the gluten in a recipe is a key factor in the success of the bake. Lastly, thank you for some of the best moments of telly – the swirl-the-wrong-way-round cake was a highlight, but loved that you saw the funny side. But the sofa watched from behind hands when the piping nozzle fell off in the MilleFeuille – what a rollercoaster. Been an addict on Great British Bake Off since last year, I love to bake and have loved watching you and your amazing ideas on the show! Thank you so much for sharing your recipes, the décor paste in cake sponge is such an amazing idea and looks stunning so will definitely be trying that out! I’m looking forward to seeing any new inventions or even old classics that you make so well! I thought you were fantasic on the bake off really superb…..I agree with the others you should bring out a book. I was compelled to leave a comment on your blog because you need to know the positive influence and inspiration you have contributed to people! I have a baking fanatic 4 year-old daughter who was most indignant when you did not win but will continue to play ‘bake offs’ in the kitchen with me for a while yet!! I was wondering if you were going to post the recipe for the meringues you made in the final?They looked amazing and I’d love to make them! WHY, OH WHY, COULD THEY NOT BOTH HAVE WON? When last was home baking so akin to high art? Had he taken leave of his senses, or could he not take his drink? But what’s this, a wedge driven between Hollywood and Berry? Good luck Mary-Anne, you were brill on GBBO. Come back to our screens or onto our book shelves soon. When are you going to write a cookery book. All the research you have done and the 700 cookery and the experimentation with new tastes and flavours needs documenting! Hi, Mary-Ann, I was watching the Great British Bake Off from the beginning to the end, and I have to say, you are the best!!! Just love every little bold but unique idea you have brought to the programme and your baking!!! read 700 baking books! certainly not every one can do this! even love your positive attitude when you cope with unexpected troubles. really looking forward to your book.–S.J. Congratulations on doing so well in GBBO – loved your ways of using historical recipes and making them acceptable to the modern palate. I too have quite a few old books and reprints of others but have always used them for reading rather than cooking – you have inspired me to have a go and thank you for putting so many of your own recipes online. Even more please! Congrats on the Bake Off final. I loved your different style and independent attitude. Don’t go too dainty, the ‘rustic’ style was refreshing and I loved it – it’s the taste that matters after all. I’m looking forward to any cookbook, as of all the contestants I think you have something new to offer. Meantime, I’m enjoying your recipes here. Keep up the good baking! I was completely glued to you for the last few weeks. I kept telling people how amazing you were with your wonderful, delectable experiments and your truly beautiful attitude! You were so ingenious and always pushed yourself to go further and I loved the way you would actually create little back-ups too! I loved your inner confidence and humility, your nobleness and the way you were in every single episode. You took all the criticisms on the chin and dealt with them admirably. Would love the recipe for the butterscotch brule. It’s making my mouth water, just thinking of it as I’ve loads of apples to use at the moment and as for the Rose Apples, well I’ve just got to try that one. Greetings, Mary Ann from Long Beach, California. I just viewed the final, and I wanted to throttle Paul Hollywood. His words were rude, crude and unattractive. Seven hundred cookbooks? And I thought I had a houseful: not even close. I found the blog because I saw the comment at the end of the show. You have fans on multiple continents. Mary Lou Cook (I should have married a Baker). What a true talent you are!So very inspirational.Have you any plans to run your own classes? I’m sure I speak for lots of us budding bakers, but I would defintely love to have you teach me. Dear Mary-Ann – Well done on the most beautiful plate of petit-fours I’ve ever seen! I’m not a cook, or a once in a blue moon one, and your presentation in the Bake-Off final was celestial! The colours and textures were straight out of Keats’ description of the sumptuous table in the Eve of Saint Agnes and I am frantically downloading your recipes online on the bake-off site to ‘have a go’. I have so far found the Everlasting Syllabub and the Lemon and Ginger Millefeuilles, but I can’t remember the name of the third, and it is not there on the page it seems? Seriously, all power to your arm and again, sumptuous creativity! Yessss! Maan the Mini Fruit Tarts with the Black, Red and White Currants. Gorgeous colours and glaze, and then the seaside rock stripe effect of the Strawb and Rhubarb cheesecakes! Thanks for that page link. I was finding it hard to navigate and clearly distracted by other, no doubt also fab recipes! Thrilled to have all three “showstoppers” now! I WILL have a go! my daughter has just tried your depression era buttercream and added rosewater to it, tastes lovely! She will be using it for her GCSE food tech. project next week with cupcakes, she loved your different ideas and will be trying more! Thank you. Thank you for baking the apple cheesecake breakfast bars, the extra oats added to the base have made it more crunchy, the family came round and although there were only 8 of us, all 16 slices disappeared in seconds. Please bring out a book! I loved watching you on the series and felt peeved that you didn’t win. I’d like to treat myself to a mixer – which one would you recommend please? I love your cakes!!! My only problem is I tried to make some bread the other day…and it takes ages to prove….. In the series you guys used some Tefal prover….or some other cabinet to put your pastry in..Can you help me to find out what is that because no matter how much I am looking at the internet, I can’t seem to indetify it. Hi Mary-Anne. My brother-in-law is a massive fan of yours. Is there any chance I could have a signed copy of your recipe for iced buns? It would make his Christmas! Oops, yes I think I got confused there! Would it be possible to have a signed copy of your chocolate and orange mousse cake? Really excited to find your blog! I loved all your recipes on the show and hope to learn a lot more from you through your blog. Greetings from Paris – just finished watching the GBBO series 2, was impressed with your ideas, loved your red swirls on those last pastries! How do you make deco paste? My husband and I live in Canada and just discovered GBBO and I have to say, you were our favourite the whole time. We were rooting for you pretty much since the beginning. My husband is a huge fan of bread and he nearly fell out of his chair when he saw your Ploughman’s Loaf. We both want to stake a claim on copies of your cookbook as soon as it’s published! Keep up the astounding cooking. We’ll be watching your blog eagerly for new recipes. What a great performance on GBB. I so enjoyed watching you bake and the down to earth comments to go with it! It is amazing you have an old Dutch recipe dating back so William the Silent timeframe. Being Dutch I love our pancakes. Have you ever made our poffertjes? You need a special pan to make those but they are mouthwatering good. I love reading cookbooks myself and have quite a collection too. You were the winner for me! I am an Australian fan who just finished watching the tv show online. You were my favourite baker from day one and I loved the experimentation and fun in all your cakes, pies and cookies. The stripey cheese cakes and melting moment cookies were my favourite! Well done on making it through to the finals and thanks for being such an inspiration! Now that I have found your blog I am going to try some of your recipes. My wife and I enjoyed watching you on the GBBO. We were cheering for you! I’m an amateur baker from America who has a particular fascination with traditional British recipes. Can you recommend any cookbooks for someone who is interested in learning more about traditional British baking/cooking? I have just stumbled across this great blog via the tv-series. I really enjoy watching TGBB and have watched the older episodes as well. I really enjoyed your different style and your ingenuity when it came to old recipes. You really gave the series a heart and a soul. Being an Austrian I especially enjoyed the making of the “Sacher Torte” (! ), it looks simple but I struggled producing a decent one too. You cannot imagine what a smile it put on my face finding this blog! I keep checking to see whether you’ve got a book out yet, in fact as lovely as Jo is I was really hoping you’d win the GBBO last year for the selfish reason that yours would be the baking book I’d rush out to buy! So is anything happening on the publishing front? Loving the blog, thanks for all the brilliant recipes! I am so delighted to see someone who actually prefers the essentials (taste, texture, smell) in baking/cooking. There are way too many appearance-driven cooks/bakers. A tendency in society I fear; put on a fine glaze of sugar on s* and amazingly enough people buy it. It is like plastic fantastic, New Speak and a strange politically correctness combined with the Stepford wives in cooking and baking. Ugh. Yes, I too like my food to look good – but what is the point of e.g. putting fondant on a cake to make it look beautiful if most people really don’t likes the taste of it and therefore removes it before eating the cake? Why not use marzipan? Not as pretty and dainty, but it taste better. Thank you! Just for being you. I am looking forward to your book. I have confidence that it will suit me! P.S. 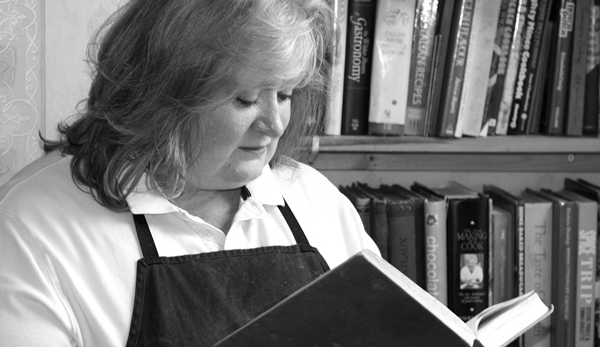 I love the fact that you consider and value the history – way too many cookbooks is not enough! What is the recipe for the bread with cheese and beer you made on the show? Whats the Sacher Torte recipe you used? I’m sat here watching the rerun of the 2011 series and amazed at your culinary skills and then it dawned on me that you looked familiar, Surely it’s not the same Mary-Anne who I shared flat with in Cardiff during our PGCE course at SGIHE?? I’m still amazed it’s you that i’m watching on the telly!! I never saw this series as I had a bit of a health scare at the time but doing fine now, Where did all this culinary wizardry come from? Me – i’m still teaching down here in darkest Devon (been teaching that long that i’m now teaching the kids of kids who i first taught when i started!!!). How are you and what are you up to now? I have just come across this blog after looking for recipes for meringue topped cup cakes. Having found the coconut and lime recipe I continued to peruse your blog, some fantastic recipes which have inspired me to be more experimental with my baking. I also saw the re run and just wondered if you could tell me the name of the technique to do the striped cakes with your B&Q bargain! I have been looking up allsorts of things trying to find your recipe or a similar one. I made your chocolate and raspberry opera cake (from GBBO) for my best friend’s 30th, and it went down as the best cake she had ever eaten! I am now making her wedding cake for wedding in July, and she has asked for a version of this. Could you offer some advice? Could I make this as a round cake? Thank you! We have finally gotten the second series of The Great British Bake Off here in Australia. Loving the blog, there are so many recipes I want to try and bake! Wotchers wanderlover! Glad you enjoyed the series – it was fun! Hope you enjoy exploring the blog too! I’m another San Francisco California fan. Your Ploughman’s Loaf: sometimes I make it with Humboldt Fog goat cheese, sometimes a good cheddar and dried apple. Sometimes I give you the footnote, sometimes I keep a nervous eye out for lightning strikes. The orange cardamom croquembouche is satisfying to make and is perfect to enjoy with friends. It took four failed attempts before I served it the first time; I’m fairly new to baking and I’m not overburdened with natural talent. Mastering that was like a small course for me. I’ve since recommend it to others with an interest in baking. Thank you for your recipes, your creativity, and your inspiration. Wotchers John! Lovely to hear from such a far-away fan! And I love your twist on the Ploughan’s Loaf – more power to your elbow and grab the compliments any way you can! we just finished watching the 2011 Bake Off (literally, the credits of the final are rolling as I write this) and you were our favourite. it was always exciting to watch your plans come together. we will be following the blog and look forward to your book! Hello Ms. MaryAnne! I live in the U.S. and just discovered The Great British Bakeoff. I just finished watching the first season and was rooting for you to win from the very beginning. Was crushed you didn’t win; however, you won in my mind. I am so excited to have found your blog. I can’t wait to try your awesome recipes. You are such an inspiration. May you have great success in your wonderful bakes. Hi, Mary Ann. I won the Greek prize and also sent the Woburn Sands recipe book link. Also pre-ordered your forthcoming book. REALLY need your advice over a couple of things.Tried your spekulaas recipe using my Dutch mould but the pattern disappeared during baking. Even though I used the cornflour mix, the dough was hell tn remove from the mould, too. What am I doing wrong? Second, i too love vintage books, papticularly the inter-war years. I have all 3 Catherine Ives as well as the 1940 Constance Spry. However I find the lack of tin/bowl sizes/capacity, the vagueness about coohing times is preventing me from trying a lot of the baking and desserts. Is there any online forum which can help iron out the probs? Just finished watching your series of The Great British British Bake-off down here in Oz. I thought you were just so inspired, talented and wonderfully self-deprecating in your baking. Congratulations in making the Grand Final, though I really did think you were consistently top or near top throughout and were deserving of recognition for your depth and breadth of knowledge and the way you pushed yourself and your bakes. I’ll be looking up your recipes and future plans for sharing them – fabulous! Mary-Anne, I’m a little behind the times. I’m literally watching the final of the British Bake off 2011.. I have been backing you the whole way. I have no idea who will win I’m not going to cheat and Google it. I just wanted you to know that you have inspired this tired of cooking for her 4 grown daughters & always on a diet husband, wife & mother. My kitchen used to be my best friend, I now want to reintroduce myself to my magic shop. I just found you so approachable and warm and funny. Also your love for cooking and the history involved in it appealed to me. I wish you all the success under the sun.. and yes I’m going to buy any book that you produce. I recently saw GBBO in Australia and have become a massive fan of yours! I think you are a fantastic cook with wonderful, inspirational ideas. Thanks for the blog! I was delighted to run across your blog and learn about your interest in historic recipes. I love British history and culture and have been enjoying recipes from the past for some time now. Your recipes look wonderful! I am glad to know that you have also published a cookbook, I will be buying a copy so I can read and try out your great recipes! Thanks so much for the recipes and for sharing your passion for great historical cooking. I look forward to reading your book! Hello, just a quick note to say they are re-running your episodes of the Great British Bake Off in Australia at the moment. And I am so enjoying seeing and hearing you on the show. Not only are your bakes interesting and inventive, but your intelligence, passion, creativity and humour shines through. Love your blog too. Hello Mary – Anne I just want to say how much I enjoyed watching you on the great British Bake off. I’m very glad I discovered your blog 🙂 I don’t see myself as the best baker but get a lot of help from your fantastic well explained recipes. i can’t seem to find out when your book is coming out. I just bake at home for my kids,and have huge trouble at birthdays…decorated sponge is there favorite and i can never find a good moist sponge good for fondant,have you a recipe in he book? glad I found this blog. You are such an inspiration! Delighted to hear the Bake Off is showing in Sweden – will there be a Swedish Bake Off and are you considering entering? Thanks for your query. It highlights something that isn’t really talked about in modern recipes. The water content of the ingredients you use will affect the consistency of the mix. I included that comment so that you could judge for yourself whether or not your mixture is wet enough before you bake it. If it’s not, then you need to add liquid until it is. I suggest adding milk, a little at a time, until the mixture is the correct consistency. Don’t bake it unless its moist enough, because if it’s too dry in the bowl, it’s not going to fix itself in the oven. Each sachet in the UK is roughly 7g, so 2 sachets for a total of 14g. We have just seen the final episode of the 2011 series (in Kenya we are a bit behind!). We thought you were wonderful! Congratulations for your successful blog and we’re looking forward to following your posts. Mary Anne my partner Chris and I just finished Series 2 online and we both adored your baking and chance taking!! We cannot wait to dive into your blog and check out your recipes!!! I’ve just finished your seaso of GBBO, and thought your researched recipes were fascinating. Looking forward to exploring your blog. PS I LIKE to taste booze in my dessert! Greetings from Minnesota! I’ve just finished watching GBBO series 2 online. Congratulations on making it all the way until the end. Your baking knowledge and willingness to experiment with different techniques and flavors was very inspiring! I look forward to trying some of the recipes on your blog. Best wishes for continued success! Greetings from Minnesota! I’ve just finished watching GBBO series 2 online. Congratulations on making it all the way until the end. Your baking knowledge and willingness to experiment with new techniques and flavors was very inspiring! Baking is fairly new hobby for me, one my husband heartily encourages. I’m looking forward to trying out the recipes on your blog. Best wishes for continued success! Hi mary ann.you are by far my wife and my favourite bake off contestant. I just recently watched The Great British Bake Off, and ended up finding and purchasing your book on Amazon.com. Everything I saw you bake was just amazing; and I was impressed how everything had a spin of your own. So-now, I’m going to give your recipes a go! Granted-I’m a bit daft on converting measurements and such over to the American version, but I’m up for the challenge. Hi Mary Anne, just interested….why “wotchers” instead of “wotcher”? Or is it another reference entirely? Hello Mary-Anne! I love GBBO so much, I’ve watched all of the seasons multiple times. You’re one of my favorite bakers from across all 5 seasons – I loved your feisty attitude and your ability to laugh off mistakes. Not to mention your food looked AMAZINGLY good, and so creative. One of your creations that I’ve always wanted to make was your Roasted Cauliflower, Cheese, and Caramelized Onion Quiche. Roasted cauliflower and caramelized onions are both major weaknesses of mine – I’ll make some for a recipe, but then I can’t stop just eating them from the pan! Is your recipe for that delicious looking quiche available somewhere online? I’ve got the image of it on the screen right now and I want to try it so bad! Thank you! Thank you for taking the time to drop by with such lovely compliments! I thought the BBC had published the recipe, but after checking, seems I was mistaken. I’ll add it to the list for the blog! Hi MaryAnn! Greetings from Vancouver Canada. Have just been watching all the GBBO’s. I am absolutely addicted. Then I found your blog and am so impressed with your knowledge and the unusual, beautiful bakes you have introduced me to. Thanks Mary Anne, Much continued success and I look forward to reading your blog on a regular basis. Just signed up! So glad you’re having fun watching the Bake Off! And thank you for your kind words – It’s great to get feedback that others find the recipes I choose as interesting as I do! More power to your baking elbow! Thank you so much for dropping by with such kind words! Was GBBO transmitted over there, or did you find it online? I can usually tell when it’s being shown, as the GBBO recipes on the blog have a surge in popularity – but not recently. I’ve been watching on You Tube and have now caught up. Season 6 is posted every Friday. You are still my favorite of all the contestants. Your knowledge of the history of baking continues to educate and inspire. I am a TERRIBLE baker…much more of a natural cook, something I love. But watching you and the other contestants bake has inspired me to want to learn. So thank you for that. I have sent many a friend to you tube to watch GBBO. As you know the American version failed. But I have watched the Irish and Australian versions. GBBO is still the best. Thanks for writing back. It is a pleasure to “chat” with you. Can’t wait for your next blog. Be well and Bake well. Just wanted to say thanks. You’re one of my all time favourite bake off-ers! Defo trying that sea foam fudge when I get a chance! Greeting from Connecticut in the U.S.! While over the Holiday break I discovered the GBBO and was soon an avid fan! I just finished season 2….and you were my absolute favorite! (although…everyone did very well) I loved your attitude as well as your glorious recipes! Growing up, I baked a lot with my grandmother and now that my kids are a little older, I am looking forward to getting back to something I loved so much…..I am so excited to have found your blog and look forward to attempting some of your creations! So glad you enjoyed GBBO Series 2 – it was great fun to take part! Hope you find something to tickle your fancy on the blog! I’m (mostly) keeping out of mischief and hunting old recipes. Hi Mary-Anne. I just finished watching your season of the great British bake off and I am very excited to follow your blog. I loved you and your attitude and sense of humour. Hoping to find all that in this blog! Best wishes from Australia! Thank you for taking the time to drop by with such kind words. Just finished Season 2 and fell in love with your baking and your delightful self. It was exciting to see what you were going to create each episode..so rustic and inventive, you, to me, sparked an excitement for creative baking and pushing the limits..all with a cheerful laugh and bubbly demeanour. I was also blown away by your extensive knowledge and unique take on classic recipes. Anywhoooo just rambling on here, but really glad to see you are still producing recipes and still experimenting. Can’t wait to check out your book! Thank you so much for stopping by with such nice compliments! Currently watching gbbo season 2! You are cracking me up! Aaand making me hungry! Congratulations! Please can you let me know the recipe and technique for your gorgeous stripey swirl melts. Thank you. They’re called Melting Moments and they’re usually listed on the right hand side under ‘Top Posts and Pages’. Just got done watching your season and was so exciting to watch. All you guys have such a passion and talent for baking it is amazing. At the end all I wanted to do was sit you all down, for tea and talk, talk and talk. Please continue and explore your extraordinary talent. I’m not sure if you’d remember me, but I was at Dover Court years ago when you were there in Singapore. I was local and taught special ed. Jane Maiden who was there at the same time is currently visiting me in San Diego, California. She told me about how fabulously you are doing in the culinary world. It’s so fabulous to see that. Just watched the Christmas bake off. What recipe do you use for the speculaa crumb and how do you then convert into buttercream. My husband is also Dutch and speculaas and speculaa brokken are his and my children’s favourite. I would love to know what recipe you use so that I can make them rather than having to smuggle packets back when we visit lol. Hope you can help. The recipe for the cake and filling is currently on the front page of the blog, but here’s a direct link: https://timetocookonline.com/2017/01/04/my-christmas-cakey-bakey/. I’ve included links to both the spekulaas biscuit and to the cream – it’s not buttercream – in the post. Do let me know if I can be of any more help. Just finished watching Series 2, and when they said you had a blog, I thought, “PLEASE let her still be writing it!” It’s so great to have found this! Hi Mary Anne, greetings from Saskatchewan Canada! I just finished watching series 2 of GBBO and you were my favourite contestant. I thought your bakes were great! I look forward to reading this blog and will ask my English friends to bring your cookbook back for me. Hi M-A, I am almost finished watching your season of GBBO and you are my favorite! I am writing from Cleveland, Ohio, in the USA and I am VERY curious about syllabub. Is it a drink or a dessert or both. Really I just love the name and want to try it. In answer to your syllabub question – yes! Syllabub exists on a sliding scale, from a boozy drink with a light froth on top – rather like an ice-cream float – to a mousse-like cream infused with sugar and alcohol that lasts for several days unrefrigerated. The version I used was towards the solid end of the scale, known as Everlasting Syllabubs, because they didn’t collapse in a couple of hours. It is indulgent and delicious – I do hope you give it a go! You killed me with the exploding icing bag and then Sacha on the cake. Ive been unwell with bronchitis and needed that laugh even though it brought on a coughing fit. Thank you. My wife and I just watched season 2 of the great British Bake and so enjoyed watching you bake. You were our favorite contestant in all 7 seasons! Your personality and positivity are the best. Your bakes are fantastic. Can’t wait to read your book! Thanks for the question – to which I say, luckily, there’s LOADS of budget friendly recipes here. So many, that I need a little help narrowing them down. What kind of food are you wanting to make? If you give me some hints, I can point you at the most suitable recipes. It’s all very new to me, I’ve been starting off with cakes though. I’d love an old recipe if possible! Hope there’s something tempting – Do let me know how you get on! I’ve been watching Season 2 of Bake Off and enjoying your creativity, passion and poise, as well as your use of historic recipes. I work on an online crowdsourcing project called Shakespeare’s World (https://www.shakespearesworld.org/#/), a collaboration between Oxford University’s Zooniverse.org team, the Folger Shakespeare Library in Washington D.C., and the Oxford English Dictionary. Volunteers on the project transcribe 400-ish year old manuscripts. These include old handwritten recipes, and in one of these someone discovered a ‘new’ (or rather old!) word to describe a kind of flakey pastry, and a perhaps little known tart: the Taffytie/Taffetye Tart (https://blog.shakespearesworld.org/2015/12/17/our-first-discovery-and-a-brief-history-of-the-oxford-english-dictionary/; https://www.zooniverse.org/projects/zooniverse/shakespeares-world/talk/228/20744). I am hoping this little gem might inspire you! The two recipes I’ve linked to are pretty different. The Oxford English Dictionary editor on our project team thinks that taffety refers to pastry that is like taffeta fabric. A lot of these recipes are short on detail and open to interpretation. A few of our volunteers and I have tried making different things over the last few years. We discuss the results on the project discussion forum under the hashtag #Recipes2Try: https://www.zooniverse.org/projects/zooniverse/shakespeares-world/talk/228. We’d love it if you gave these a whirl some day! Mary-Anne! I’m so happy to have found your blog. I stumbled upon seasons 1-3 online & loved watching you bake was intrigued by your knowledge. I ordered your cookbook a week ago, and have been savoring every page. I live in America, and started baking British cakes with some success, but I was never quite sure if the texture was correct. After about a year, I decided our plain flour has more gluten that British. Also, our SR flour has more baking powder as well as more gluten. I order my flour from England, and my bakes are so much better. I also have to order tons of ingredients that we don’t have here, and I have a cabinet full of baking supplies. Even our baking tins are different sizes! I just wanted you to know how much I admire you and your knowledge of the history of cooking and baking. Again, your book is amazing. Thank you! I just finished binge reading Great British Bakes, and it was amazing. There are tons of recipes I can’t wait to try. I had to order another bread tin, some egg white powder, and saffron though. I’m 70 years old and became hooked on learning how to bake British cakes,pies, tarts, etc. Thank you so much for all the new recipes. I have a lot of baking ahead of me! Thank you for the lovely compliments and for making the effort to stop by. Mary-Anne, I am also American and just finished watching series two of the GBBO. I so enjoyed watching you and very much liked your knowledgeable approach to baking and your inventiveness. You are so talented, and your comments about Jo near the end were lovely. Thank you for being such a wonderful participant in the show, and good luck to you in all your endeavors. Thank you for stopping by with such kind words. It’s been nice for Season 2 to get some love after all this time – glad you enjoyed it! From America, thanks for the passion and wit you bring to the baking world! Watched a Royal Recipes repeatvepisode not long ago featuring Taffeta Tart: top & bottom layer of puff pastry (I think) apple filling. Sadly did not pay full attention to the programme (forever doing two things at once) & can’t get recipe anywhere. Do you have one for this apparent historic dessert? P.s. just serving up your Butter Chicken dish – it’s fab & a firm favourite in this house…. Apologies for somehow missing your question. There’s a recipe for Taffety Tarts in my book Great British Bakes – but it is of a different style (open tart) to the one you describe. The closed Taffety Tart recipes I’ve found in various manuscripts involve very thin slices of apple either laid in a single layer, or overlapping, dotted with sugar, cinnamon and butter. The pastry is very thin, and the thinness of the finished pastries is also emphasized. They are rectangular in shape and occasionally iced with royal icing when cooled. Essentially, they are a 17th century pop-tart. Hope this helps – happy baking.